Habitat for Humanity believes that everyone, everywhere, should have a healthy, affordable place to call home. More than building homes, they believe in building communities, hope, and the opportunity for families to help themselves. They are a vital part of each community, whether we see that or not. We were very fortunate to be able to take the time to help in our own way. 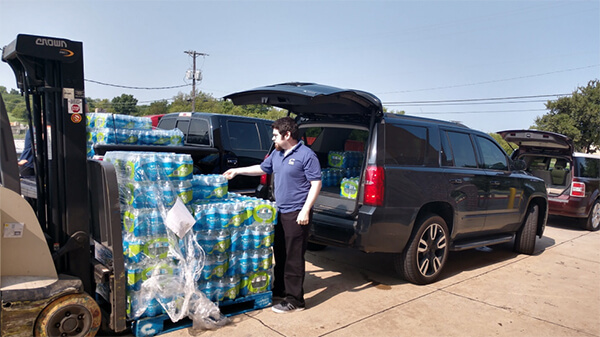 Thanks to the support of our employees and our CEO for matching employee donations 100%, A Better Answer was able to donate and deliver three truckloads of water to the Mckinney warehouse. 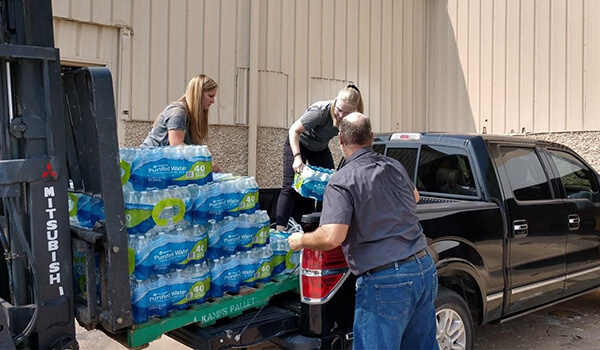 We appreciate the opportunity to be a part of something bigger and give back to the community in which we live and work. Thank you Habitat for Humanity for allowing us to be a part of your amazing efforts! 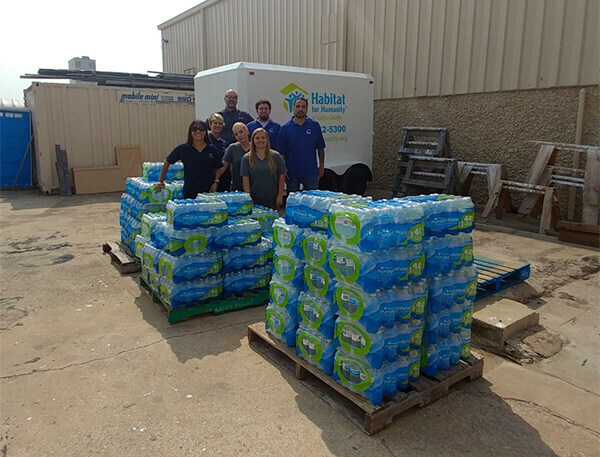 If you would like to donate your time or supplies to Habitat for Humanity, you can visit find their website local to your area, like the one for Dallas. There you can volunteer, make a donation and more.